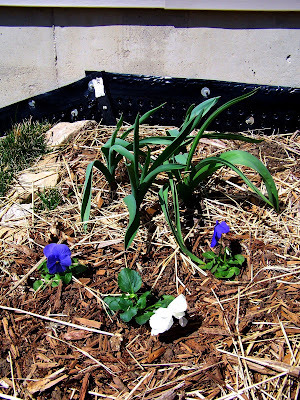 I planted some pansies last week, as they are the first real flowers you can plant in the Spring that survive the cooler temps. Over on my garden blog, I have started writing on what is peaking out of the ground. Hopefully this drizzle rain of the last two will help them grow a little higher.